Experience the warmth and comfort of 280 gram polyester fleece lining. The Men's Arctic Shield Performance Fit Jacket from Onyx will be the warmest jacket a hunter will own. It is constructed with our patented ArcticShield heat retention technology which can capture and return up to 90% of your body heat and stop the cold from penetrating. Experience the warmth and comfort of 280 gram polyester fleece lining. The Men&apos;s Arctic Shield Performance Fit Jacket from Onyx will be the warmest jacket a hunter will own. It is constructed with our patented ArcticShield heat retention technology which can capture and return up to 90% of your body heat and stop the cold from penetrating. This micro suede jacket offers a tailored fit while still providing full freedom of movement making it easier to draw a bow or shoulder a gun. Onyx&apos;s new ArcticShield technology conquers cold by capturing and returning up to 90% of your body heat. 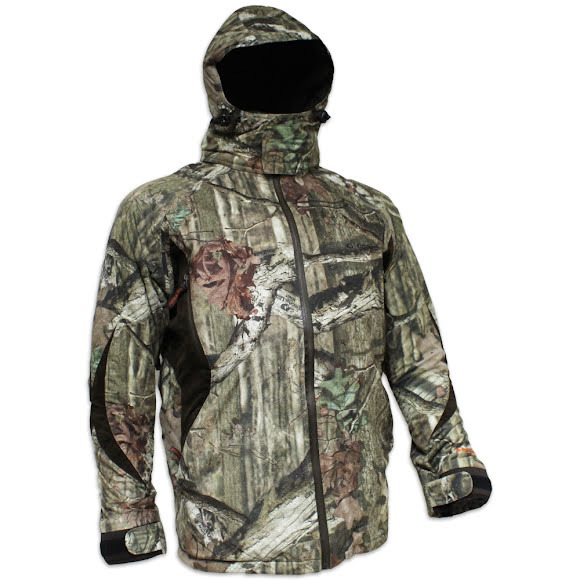 This patented technology utilizes a multilayer thermal material that captures body heat and lets you enjoy the thrill of the hunt, instead of the chill of the hunt. This technology allows you to be warm and comfortable in temperatures ranging in the 50&apos;s to well below zero. Purchased for a Kansas bow hunt. Temps was in the low 20s with wind chills in the teens. I did not layer up. Only wore my base layer and the Artic Shield over it. Did not get cold at all. Was quiet and no bulk. Perfect for bow hunting. Great product. Would recommend.